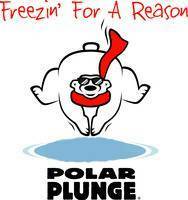 Please consider joining with the ‘courageous’ few who symbolically leap into the new year by literally diving into the frigid waters of Angle Lake at the annual Polar Bear Plunge. The original concept of the plunge was simply a wacky thing to do. However, a more sensible reason has been introduced to support a local food drive effort to help reduce hunger in our area. We are encouraging all participants and spectators to bring donations of cash, check and/or non-perishable food items to be given to the Highline Food Bank to assist in their effort of providing meals to members in our community who frequently suffer from the effects of hunger. Food Bank shelves are typically quite empty at this time of year due to increased demand over the holidays. Non-perishable food donations and/or cash contributions are greatly needed to help restock the shelves to meet the ongoing demand that is present in our community. If everyone in our neighborhood would commit to donating just $10 each the Highline food bank would be in a far greater position to serve client needs throughout the entire year! And for every $10 donation, the donor will in return receive one additional chance to win some fabulous prizes! See the Official Flyer for details. Non-perishable packaged food donations will also be accepted and be awarded additional opportunities for prizes. WHERE: Angle Lake Manor Club Private Beach Lot, 3419 South 194th Street. INFO: There will be a fire burning to warm by and hot coffee and other refreshments will be available for participants and spectators to enjoy before the plunge. A small commemorative gift will be awarded to all participants that enter the water. Special recognition will be given to each participant that achieves Polar Cub Club status be swimming to the dive platform and back! Come Early. Parking is limited. Carpool or come by boat. Anyone with heart problems should consult your health care provider before participating. If you don’t participate, you’re still welcome to join us and watch. Do Not Drink. Alcohol does not warm you up. It accelerates hypothermia. Do Not Stay In The Water Longer Than 15 Minutes. Body heat is lost 30 times faster in the water than in air. Keep Your Outer Clothing On until swim time and remove any wet clothing before getting back into dry clothes. Bring large, dry towels to dry off afterwards! All in all, it was a good turnout and great success – Thanks to our commercial sponsors: Cedarbrook Lodge and Spa; Copper Leaf and Azteca Restaurants; Advanced Massage; Paws in the Park Pet Supply; Wild Birds Unlimited – the community donated $240 cash and approximately 150 pounds of nonperishable food for the Highline Area Food Bank. Thank You all who contributed, donated, attended and plunged! Angle Lake Shore Club and Angle Lake Manor HOA.